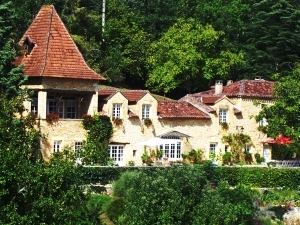 This region of France we call the Perigord, Dordogne, Quercy is truely a place of wonder. 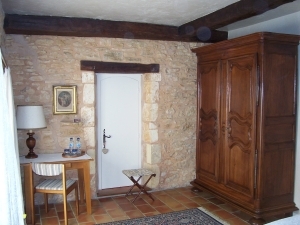 Man has lived here for millennia in villages and small cities along the banks of the Dordogne and Lot rivers. This area has been able to preserve its genuine quality and leisurely way of life. 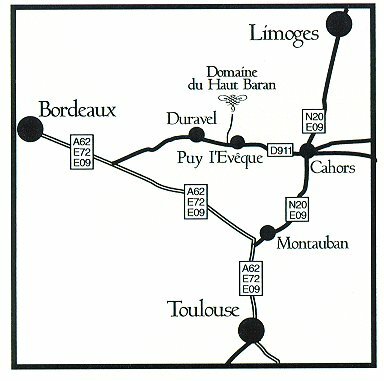 Whatever your interests: wine tasting, gourmet cuisine, prehistoric art, chateau, bicycling, horseback riding, medieval history, canoeing, or simply shopping for unique regional items such as truffle oil, foie gras or Armagnac brandy, the Quercy, Dordogne, and Perigord, is waiting to be discovered by you. 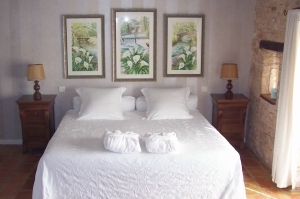 Within the charming Domaine du Haut Baran, your hosts Rosalie and William will welcome you to the area's many pleasures. 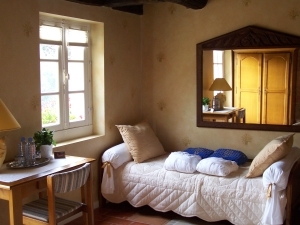 The Domaine du Haut Baran boasts modern accommodations in historical chateau surroundings. Groups welcome for all interests/wine tasting, gourmet cuisine, bicycling, historical tours, and artist groups. Our Calla Lily room has wonderful antiques,a luxurious bathroom and your door opens onto the grand terrace level ,no steps ! 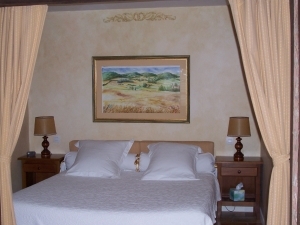 The wheat room has a main bed chamber with luxury bathroom. The entry has a day bed and opens onto the main terrace . Dinners featuring regional cuisine, personalized tours, round trip transportation to and from Toulouse airport and tour sites, available upon request for an additional fee. Also ask about renting the entire chateau on a weekly or monthly basis for a family getaway or for specialty groups like a corporate retreat. 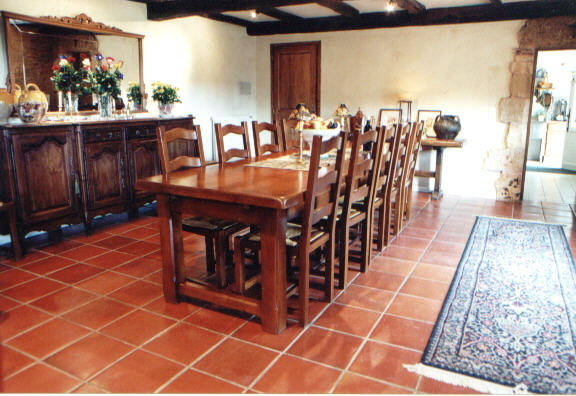 Accommodates up to 15 people. Rates upon request or check with your travel agency.